The newly-renovated Red Roof Inn Vermillion is conveniently located off I-29 with easy access to all of Vermillion’s major attractions, including the University of South Dakota, the National Music Museum the Valiant Vineyard and The Bluffs Golf Course. At Red Roof Inn Vermillion our guests can relax and enjoy 100% Smoke-Free rooms with free Wi-Fi or have a swim in our indoor, heated pool open year round. Stay in a spacious and comfortable room filled with amenities like in room microwave and refrigerator and a flat screen TV. Coffeehouse style coffee & tea is available in the lobby. Book now. Visit a family member or a friend, explore the campus or catch a sporting event at University of South Dakota (1 mi away). A take a trip to South Dakota’s first and oldest winery, Valiant Vineyards (2.4 miles). Try local wines, enjoy tastings and tours. Eat at the onsite restaurant or buy a bottle of your favorite vintage at the end of your tour. Check out great places to eat like Jimmy Johns (0.2 mile), Little Italy’s (0.2 mile), Dairy Queen (0.2 mile) and Mexico Viejo (0.5 mile). Visit one of the largest collections of musical instruments in the world at the National Music Museum (0.9 miles). Brought to you by the University of South Dakota, this museum is the perfect spot for music lovers. 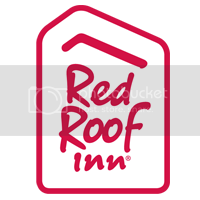 Red Roof Inn Vermillion is only 30 mi away from Hard Rock Casino in Sioux City, IA. Enjoy games, slots, dining, drinks, and big name concerts & shows. For the best experience watching the latest releases and cinematic classics, check out the Vermillion Coyote Theatre (1.5 miles). Grab a bag of freshly popped popcorn, sit down and enjoy the adventure on the screen. Enjoy great events at surrounding towns this summer during your stay. Experience events in Yanton like Rock n’ Rumble Motorcycle Rally (July 21st – 22nd) and Riverboat Days (August 18th – 20th). Or enjoy the Extreme Amazing Race in Canton in July! Home of the South Dakota Coyotes, the Dakota Dome (1 mile) is your stop for University of South Dakota athletics. Enjoy a relaxing round of golf at The Bluffs Golf Course (3.4 miles). Enjoy the serenity of sinking a putt on the green, or the excitement of making the perfect drive. Enjoy the beauty, history and serenity of the Spirit Mound Historic Prairie (8.3 miles). A spot discovered by Native Americans, documented by Lewis and Clark and enjoyed by many today. See the breath taking and awe inspiring Spirit Mound.